Despite speculations, Kailash Vijayvargiya and Jyotiraditya Scindia have not been appointed state chiefs. Over the last week, both BJP and Congress in Madhya Pradesh were rattled by the news of impending changes in top organisational posts, including that of state presidents. That, however, did not happen, and it seems that both parties will contest elections maintaining status quo in the state organisational leadership. But what does it mean for either party? BJP president Amit Shah made a sudden visit to Ujjain last week to meet RSS head Mohan Bhagwat, who had been camping there for some days. Shah was accompanied by CM Shivraj Singh Chouhan, who had left Ujjain just a few hours earlier. The CM’s return to meet the RSS chief and the party president pointed towards the possibility of an important announcement. 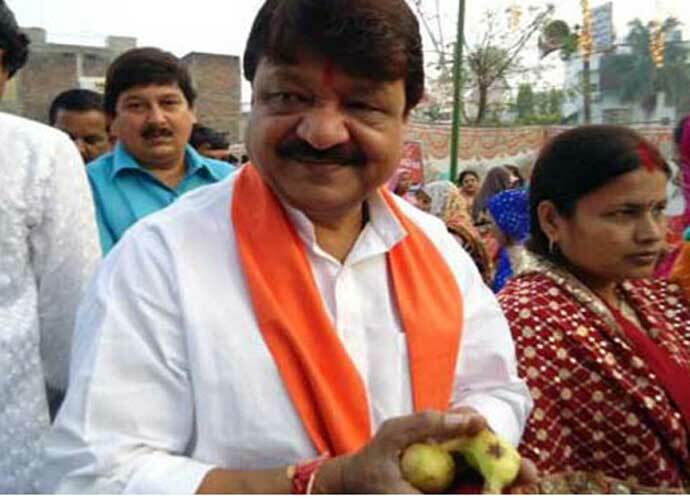 Shah was accompanied by BJP general secretary and known Shivraj-baiter, Kailash Vijayvargiya. This prompted the local press to announce that state BJP president Nandkumar Singh Chouhan was on his way out and would be replaced by Vijayvargiya before the crucial November 2018 assembly polls. Vijayvargiya didn’t deny it either, fuelling further speculation. It took three days for the situation to clear up, but it seems that there may not be any change, unless the party does really badly in the two upcoming assembly by-polls in Kolaras and Mungaoli. In the Congress, for months, there had been speculation that state president Arun Yadav would make way for either Jyotiraditya Scindia or Kamal Nath. Congress president Rahul Gandhi was to take a call on this, but just before leaving for Bahrain, the Congress president announced that there would be no change in state presidents in all states. This has given a lease of life to Arun Yadav, and is also an indicator that the old guard in the Congress has succeeded in thwarting Scindia’s plan to become state president, at least for the time being. Yadav’s continuation as state president suggests that the Congress is planning to contest the November 2018 elections in their old style, with satraps being given the responsibility of areas within the state and of seeing their candidates through. Unless there is a change at the PCC level, the initial speculation of Congress planning to project a CM face in the campaign to take on Shivraj Singh Chouhan does not seem likely. The writer is Associate Editor, India Today.